Do We Shoot Wedding Videos? This is one of the questions we are being asked more and more frequently… Do we shoot wedding videos? Although we are playing around with video more and more these days, we do it as more of a hobby and thus can not offer it as a professional service on your wedding day. We like to stick to what we excel at and that is wedding photography. One thing we have offered clients who have asked in the past, is to set up a GoPro (a small professional grade action video camera) on a tripod during your ceremony. GoPros are great due to their tiny size and wide angle of view. We own the latest top of the range Black Edition GoPro which is the same camera that is used to capture action shots in many television programs. 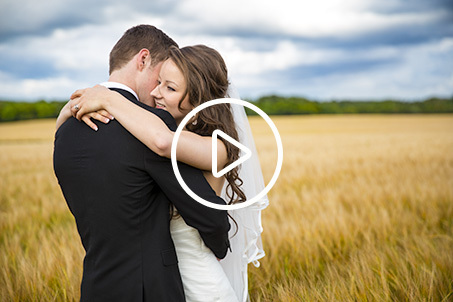 The HD footage can then be sent over to you after your wedding. Please don’t confuse this for a wedding video though. This is not a professional service, but rather is a small gesture to thank you for booking us as your wedding photographers. There is no charge to this extra service and we provide no guarantees as to the results of such a video. Why not check out some of our other frequently asked questions over at our Wedding Photography FAQ page.